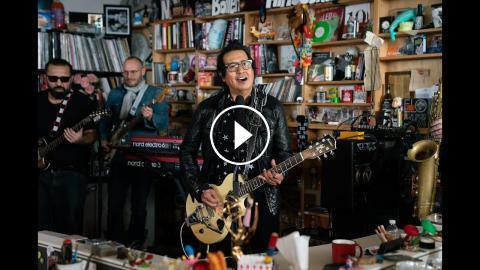 March 20, 2019 | Felix Contreras -- When Alejandro Escovedo and his backing band known as Don Antonio set up behind the Tiny Desk, their first sounds were blistering loud. That's when we broke the news: We wouldn't amplify Alejandro's voice. We got a slightly sullen look from the band; but despite the toned-down volume, they were all still amped up.